Madness and mayhem hit the streets as both Arkham Asylum and Blackgate Prison unleash their prisoners upon the helpless citizens of Gotham. And with no Dark Knight to protect the city, what horrors will follow? 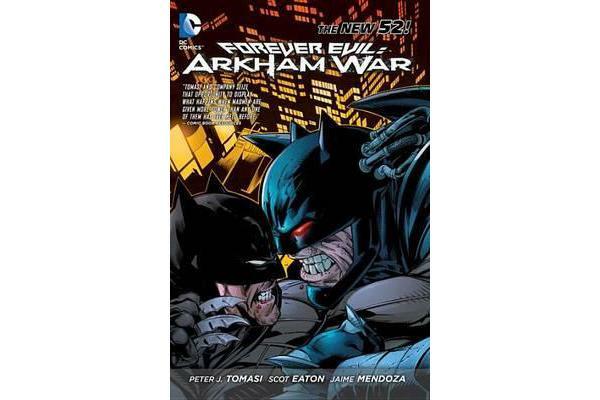 Arkham and Blackgate face off in this series featuring Scarecrow, The Penguin, Bane, Killer Croc, and more. 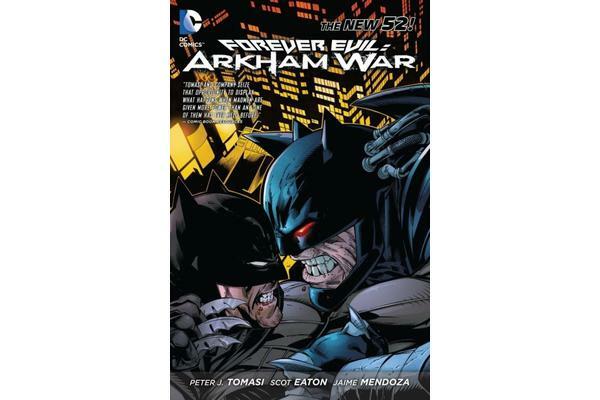 Writer Peter J. Tomasi (BATMAN & ROBIN) brings you FOREVER EVIL- ARKHAM WAR, detailing the battle for Gotham City in the midst of the epic crossover event FOREVER EVIL from comics superstars Geoff Johns and David Finch. Collects #1-6, BATMAN #23.4- BANE, DETECTIVE COMICS #23.3- SCARECROW, and BATMAN AND ROBIN #23.1.